Our ad-on solution for LINK 1730 transmitter . 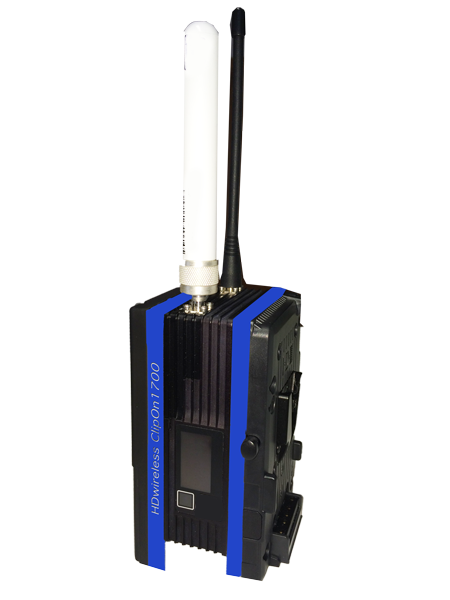 The HDwireless ClipOn1700 allows to extend any broadcast, film and event cameras with a small, lightweight MPEG-4 wireless Video transmitter with only 20ms delay. By using PTTL ( PowerthroughtheLine ) technology ™ the camera power is routed on through the plugged battery to the transmitter. For further Information please contact Patrick Nussbaum.